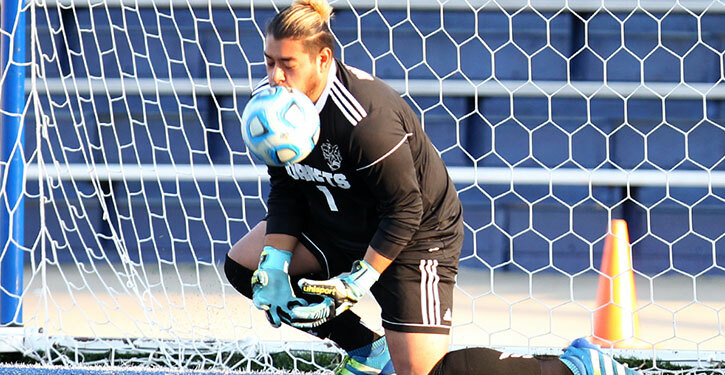 Turning to send the ball long, Bryant Hornets’ senior goalkeeper Adolfo Martinez looked up to find a Little Rock Catholic Rockets player rushing on him. The pressure was too much as Catholic stole the ball and found their first goal on the Hornets 90 seconds into the first half. From the start of the match the Hornet midfielders were dominated by the aggressive Rockets. The Hornets played the ball back to their keeper on four separate occasions, giving up scoring opportunities to Catholic on two of those. 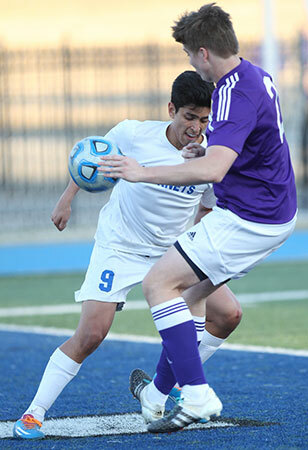 The Rockets handed the Hornets their first 7A-Central Conference loss, 3-2,, on Friday night. 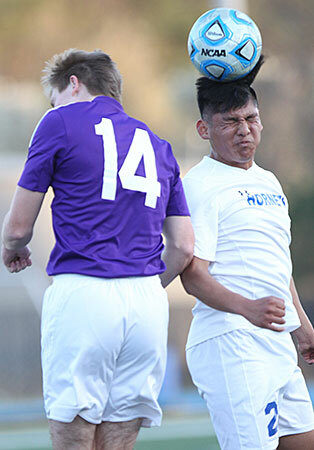 The Hornets found momentum in their favor with 33:21 left in the first half, when senior Jhorman Cruz took a 20-yard free kick that sailed just left of the goal. The Hornets went on to find even more opportunities with a played-in ball. Cruz kicked the ball over the head of the Rocket goalkeeper but could not finish the goal heading the ball over the top of the cross bar. With less than 15 minutes left in the half, Catholic had an opportunity with a free kick on the left of the box after a Hornet defender handball. The cross came in but Martinez punched the ball out, saving the Hornets from a Rocket goal. The Rockets’ control of the match would continue after receiving a corner kick with 3:36 remaining in the first half. The corner came in but, on an attempt to clear the ball, the ball took an awkward hit flying into the Hornets’ goal leading to an own goal, giving Catholic a 2-0 lead. With time expiring the in the half, the Hornets were granted a free kick 30 yards from the goal. As the teams got set, time began to expire and before the kick could be made the halftime horn sounded. The ref called for an additional two seconds to be added to the half and, after Cruz struck the free kick, the Catholic keeper just saved the ball. But, on the bounce back, junior Henry Terry tapped the ball in for what seemed to be a Hornet goal. The goal was disallowed by the ref, however, as the two additional seconds had already expired. The Hornets had to carry the 2-0 deficit into halftime. The Hornets’ struggles continued as the second half unfolded. It was not until 25:13 when the Hornets found their first goal off of a Luis Lara flying bicycle kick after the ball was deflected off the keeper. The goal gave the Hornets a new life for the rest of the half. They dominated the shooting attempting four shots to the Rockets’ two. The Hornets’ hearts were broken however, with 10:16 left in the match, when a Rocket goal put the game back to a two-point deficit. The Hornets responded well. Lara scored his second goal of the night putting the game back to one goal. Bryant only allowed one foul in the second half against seven in the first. But, even with the second half improvement, the Hornets could not recover from their previous mistakes. Now with spring break, the Hornets look to capitalize and improve on their errors. 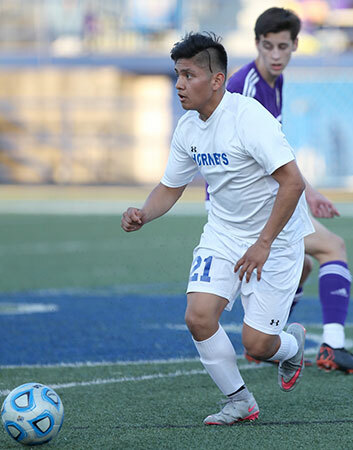 Bryant, now 4-2-2 overall and 1-1 in league play, was set to host Memphis Christian Brothers on Friday. After spring break, the Hornets return to conference play at home against Little Rock Central.